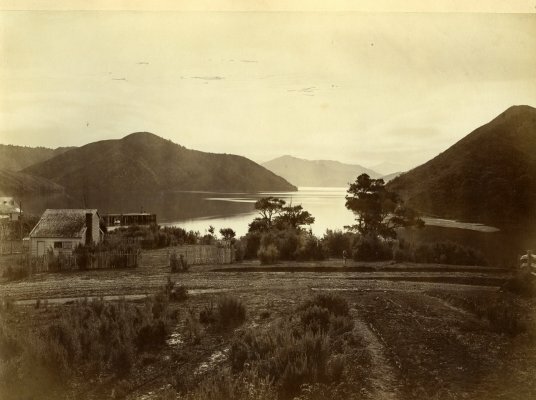 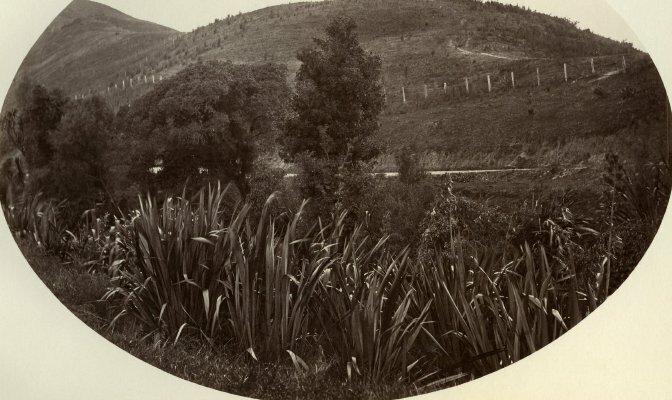 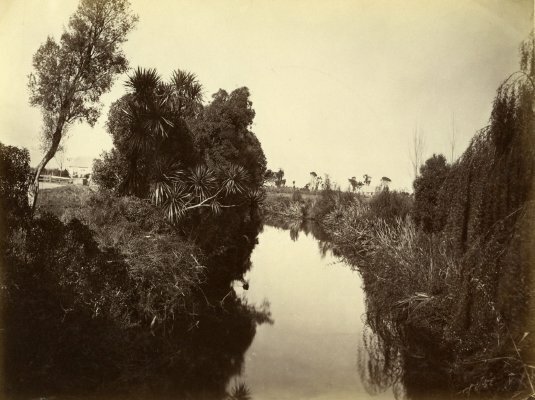 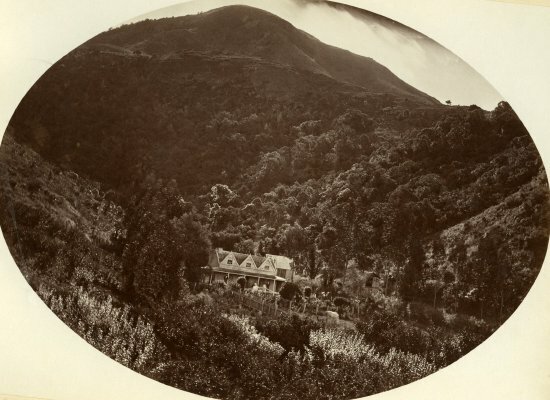 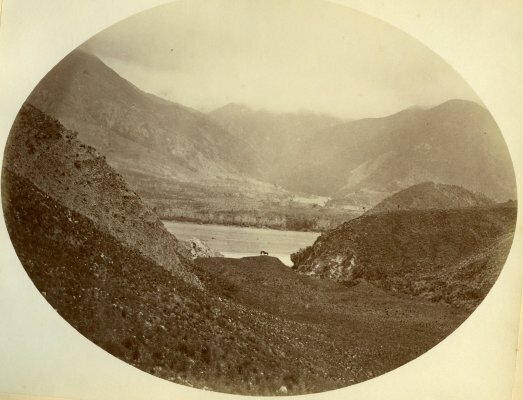 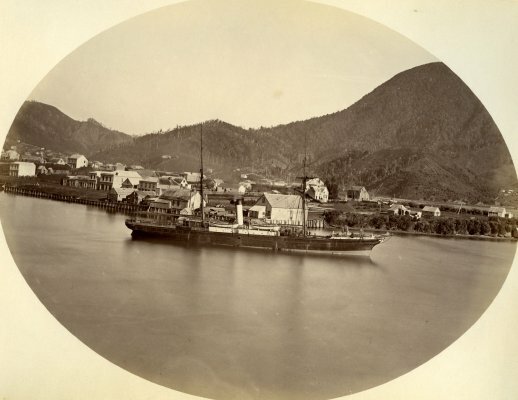 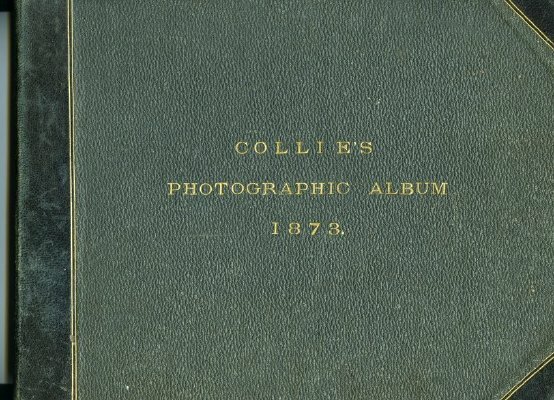 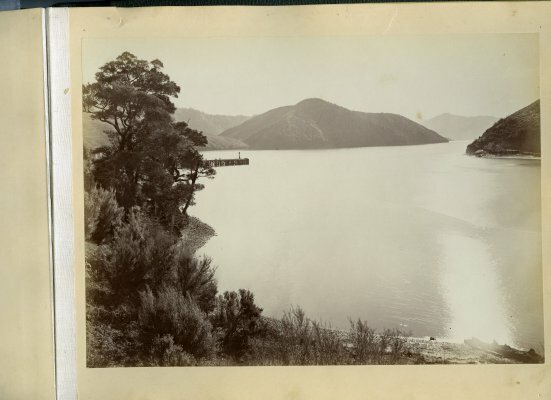 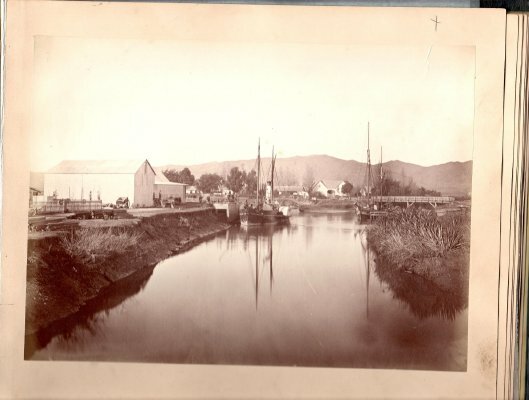 Description The album is titled: The Album of Marlborough Photographs for Christmas, 1873. 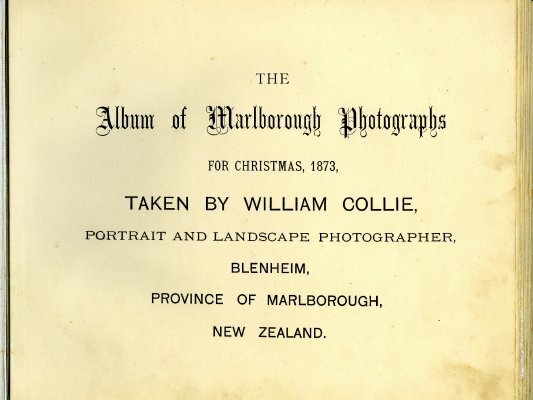 Taken by William Collie, Portrait and landscape photographer, Blenheim, province of Marlborough, New Zealand. 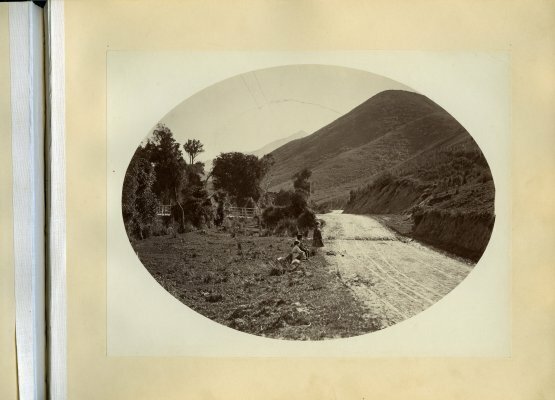 It is a grey/black leather covered AF landscape sized album.1873". 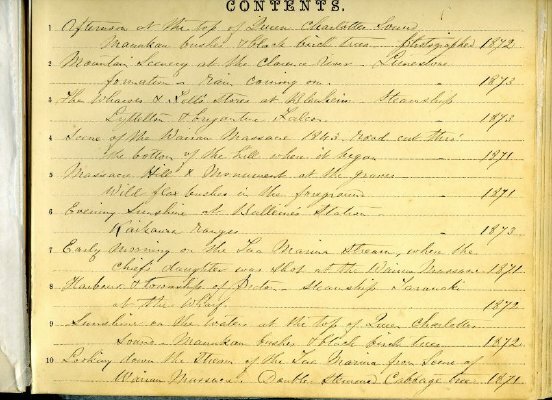 Harry Stace is written inside the front cover. 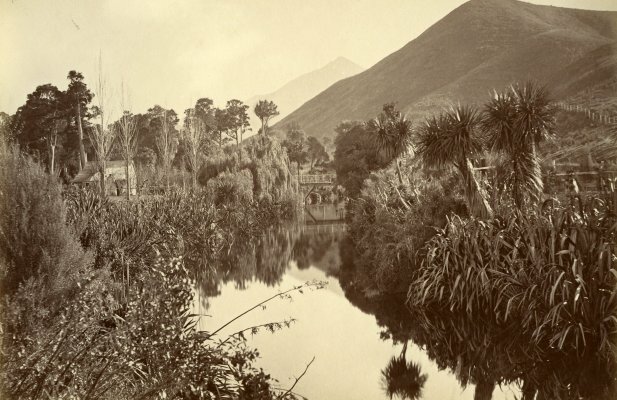 It has 10 Marlborough scenes, and a contents page. 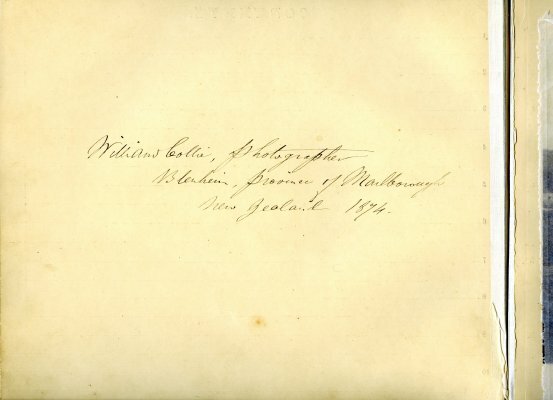 Each page will be catalogued separately, starting at 2003.237.0002.